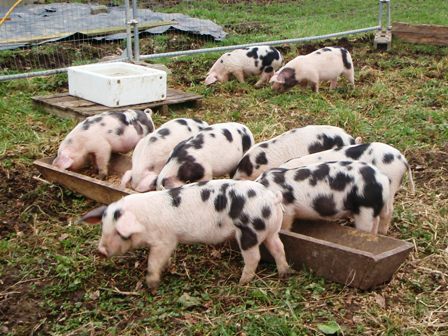 The GOSPBC has established an inspection regime and details can be found here* along with a list of producers where Traditionally Farmed Gloucestershire Old Spots Pork can be sourced from. In the meantime, if you have a query, please email mail@oldspots.org.uk with full details of the producer and we will endeavour to advise you as quickly as possible. Food-standard labels suitable for use on packaging in fridges and freezers (left) can be ordered online by Approved Producers and Retailers only. Click here.